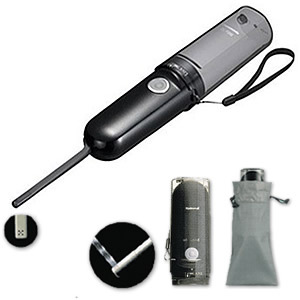 Feel fresh wherever you go with this top-of-the-line portable Personal Hygiene System from National Panasonic. The Panasonic NAiS Portable Travel Bidet CH785 provides the most powerful and longest lasting wash of any portable bidet, yet is easy to carry and operate. The oscillating shower soothes and cleans, moving gently from side-to-side as it washes to ensure complete cleansing. Sorry, we are out of stock on this item right now.